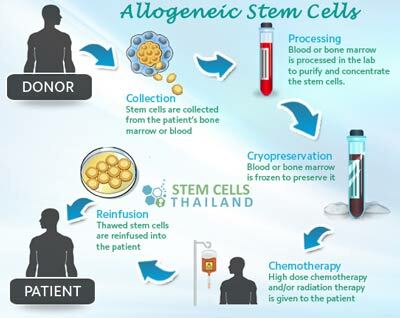 As opposed to autologous stem cells, allogeneic stem cells are harvested from another patient, who stands as the donor to a patient needing a stem cell transplant. I have been reading your website to learn about stem cells. My brother has a rare blood disorder and our doctors have not really recommended any good treatment options. So im looking for stem cell therapy. These allogeneic stem cells come from other source like cord blood or placenta? How do we know it is safe and how do we know it will match the patient? Please tell me so i know.